The information presented on this page was originally released on October 9, 2015. It may not be outdated, but please search our site for more current information. If you plan to quote or reference this information in a publication, please check with the Extension specialist or author before proceeding. STARKVILLE, Miss. 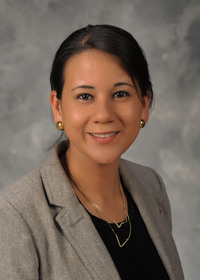 -- If inquiries about new or expanded businesses are the heartbeat of Mississippi horticulture, then agricultural economist Alba Collart knows 2015 is a healthy year for the industry. 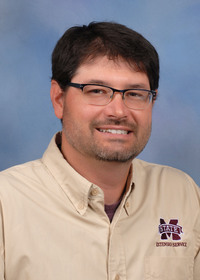 Collart, assistant professor of agricultural economics with the Mississippi State University Extension Service, said horticultural crops are important to Mississippi’s agricultural economy. These specialty crops include fruits, vegetables, tree nuts and products grown for environmental horticulture, also known as the green industry. In 2014, out of the state’s 16 commodities, specialty crops ranked No. 10 with an estimated farm-gate value of $114 million. That placed it ahead of hay, sweet potatoes, wheat, dairy, grain sorghum and peanuts. “Several factors are contributing to a strong horticulture economy: consumer emphasis on health and nutrition issues may be driving at least part of the consumer interest in locally grown produce and foods sold through direct-to-consumer channels such as farmers markets and Community Supported Agriculture,” Collart said. Collart said Mississippi’s greenhouse and landscape businesses have been in recovery mode in the decade following Hurricane Katrina. Just as progress was beginning, the economic recession hit. Collart said the economy is improving as new construction increases, which typically benefits the industry through demand for landscaping projects. National housing starts for August were 1.126 million units, almost 17 percent higher than last year. “When the final figures are in, we have reason to expect 2015 to be a good year for horticulture,” she said. One area of the industry, floristry, is experiencing challenges from competition with retail floral outlets. 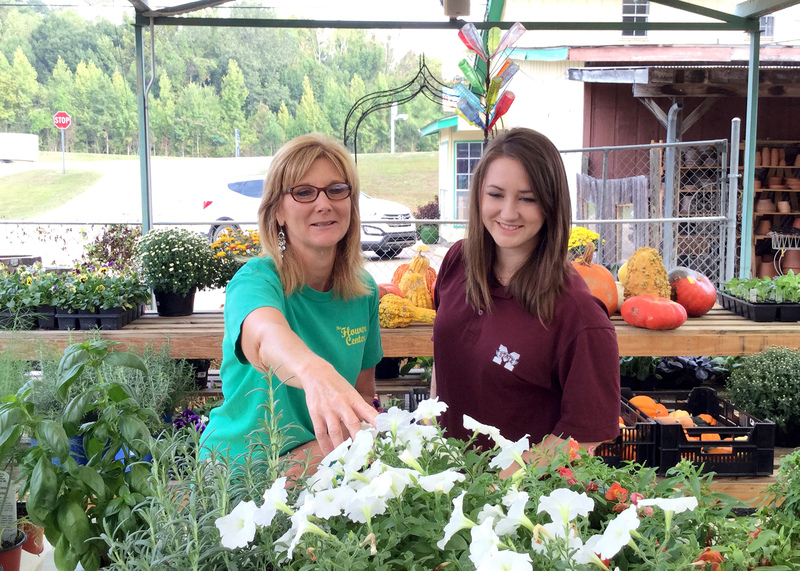 “Traditional retail shops have trouble competing with flowers available at grocery stores seven days a week and, in some cases, 24 hours a day,” said Jim Del Prince, floral design specialist at the MSU Coastal Research and Extension Center in Biloxi. DelPrince said retailers statewide compete with Internet-based retail companies, termed “order gatherers,” that market on a local level and then use local florists to fill orders. Online companies then keep a percentage of the sale as a service fee. DelPrince said there are exciting career opportunities, but graduates need to be open-minded and look for openings in manufacturing, wholesaling and importing. Floral management positions are also available. 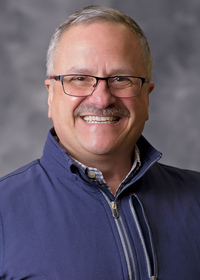 Richard Harkess, MSU professor and undergraduate coordinator in plant and soil sciences, said job openings remained strong throughout the recession. “Graduates typically take jobs in sales and marketing with horticulture and allied industries; with production nurseries, greenhouses, botanical gardens, lawn and landscaping businesses; and as horticulturists for cities, theme parks and golf courses or the Extension Service,” Harkess said. Harkess said the prices for bedding plants have not changed significantly in 20 years, so profit margins are much tighter. One of the biggest career limitations is pay, but the potential for better money is closely tied to college degrees. “Students may come into the program because they enjoy growing plants, but along the way, they need to learn the business aspects and other factors that go into the industry, like sales and marketing,” he said. Harkess described today’s students as “energetic and innovative.” The biggest challenge is teaching students production scheduling and to anticipate future needs in order to complete tasks in time. Anna McCain is a 2011 horticulture graduate. 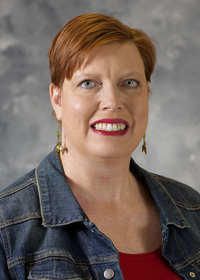 Now working as an Extension agent in Warren County, she will soon have her master’s degree.